Eoin couldn’t be more stoked to be presenting at Telluride Yoga Festival for the first time! Mindfulness is a skill. This class starts with a conversation about powerful Blissology techniques to create a state of Flow and Embodied Peace. These will help guide our ability to become more present, mindful and receptive to life. Expect a short lecture on yoga, your nervous system and the adrenals. Discover how understanding the adrenals and the nervous system can serve to lead to more connection and joy in our lives. We will explore these tools in an incredible meditation experience followed by a deep, soulful slow-flow yoga class that is nothing short of paradigm shifting. 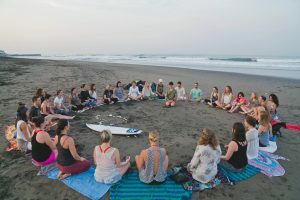 We want to share the tools and techniques of how to be more present and feel the profound connection to our bodies, our community and nature. Bring calm, clarity and light into your life and open up our deepest consciousness. Twists are an ecstatic way to broaden our horizons, expand our range of motion, loosen the hips and stabilize the spine. They make us feel younger, freeing the side body muscles, invigorating our spirit and detoxing the belly organs. It is incredible though how much deeper and safer you can make both twists and hip opening using specific Blissology Alignment Principles. Expect to work in detail but also be prepared to experience a flowing and deep vinyasa yoga class that will have you not wanting to operate heavy machinery for a while. Come taste the bliss waiting to be set free in this hips and twist class. Not just for sisters, but yoga brothers can join in the bliss as well. 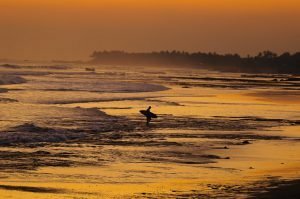 This master class starts off with a 20-30 minute Blissology discussion followed by a unique and inspirational vinyasa yoga class lead by West Coast yogi, surfer and Blissologist, Eoin Finn. 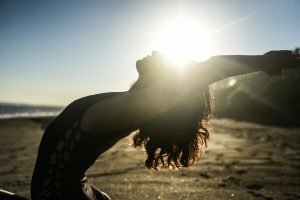 What is Blissology? How can yoga make us more happy, more fulfilled in all of our relationships and to enable us be a positive force on the planet? We will even tackle big questions like what is our life really about and what is this Love thing anyway? How do all of these questions relate to our physical yoga asana practice? Be prepared to access your deepest inspiration. Expect to go deep using Blissology Alignment principles, opening up to our energy body and the wisdom of our deepest heart. As always, the focus is ultimately on opening up to love – the ultimate renewable resource. For more info and tickets, check Telluire’s website. Use the code Bliss2019 for 10% off your ticket!